In the era of endless remakes and reboots, it’s kind of insane a Harry Potter reboot hasn’t happened yet. But we’ve come close. With Harry Potter And The Cursed Child and the ongoing Fantastic Beasts franchise, J.K. Rowling’s Wizarding World hasn’t run out of fuel yet—well, depending on what you thought of those aforementioned spinoffs. Still, it’s hard to imagine a future where Warner Bros. doesn’t jump at the chance to reimagine the Potter series all over again. According to Daniel Radcliffe, it’s definitely a possibility. 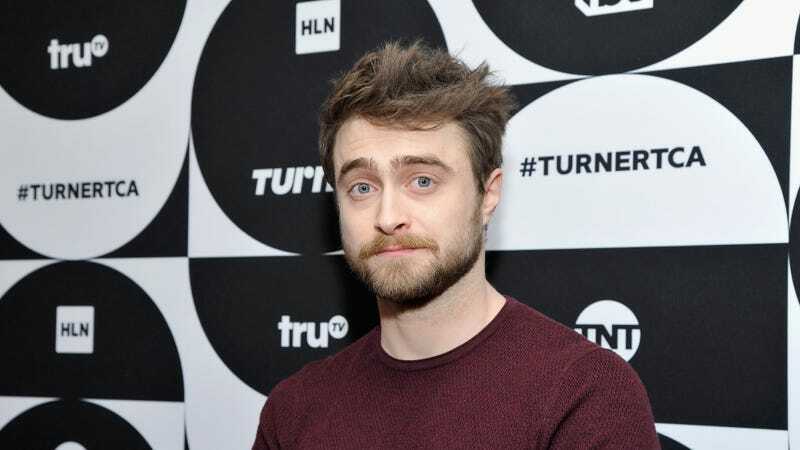 While the 29-year-old actor has worked to diversify his resume since departing from Hogwarts, playing everything from a farting corpse to an undercover white supremacist to a billionaire magician, Radcliffe will still always be The Boy Who Lived. When talking to IGN about his new TBS comedy Miracle Workers, Radcliffe spoke about whether a Harry Potter reboot would ever happen. “I’m sure there will be some other version of it,” he said, noting a Harry Potter reboot, on the big or small screen, is pretty much inevitable in our world of Lord Of The Rings prequels and non-stop Spider-Man reboots. Warner Bros. is busy at the moment detailing the backstory of the Potter-verse we know from the films in the next three Fantastic Beasts movies. But if when we do return to Hogwarts in those eventual reboots, two requests: don’t exclude S.P.E.W. again, and please, just make Dumbledore gay already.